Some of the best researchers when it comes to brain health are tackling a growing concern among those who have ever laced up their cleats, gloves or skates. This as the Cleveland Clinic Lou Ruvo Center for Brain Health reconvened the Professional Sports Brain Health Coalition. The group, comprised of doctors from the clinic as well as leaders of various sports leagues and companies, is working to promote safety through education, research, and awareness. "He asked me what year it was and I said 1865. Then he asked me the score which I got correct. He said he is 50 percent put him back in," Linden King said of the testing on the sideline after he was knocked out on the football field during his NFL career. The former Raiders linebacker King remembers the way concussions were handled when he played in NFL nfl between 1977 and 1989 and watching the effects days later on game tape. "I didn't line up right and I don't remember the whole second half of that game," King said. With discoveries about the long-term impacts of concussions on brain health, athletes today aren't put in those positions. Even though doctors understand more about what the repeated blows can do to a person, the treatment hasn't advanced nearly as much. "If a person has a concussion we don't have much to offer aside from rest and a gradual return to play," said Dr. Charles Bernick, the associate director of the Lou Ruvo Center for Brain Health. That's one of the things the Professional Sports Brain Health Coalition, led by Bernick, is hoping to tackle. The group is currently studying the effects of brain trauma in fighters and bull riders, with more groups lining up, in hopes of one day hoping for better treatments. 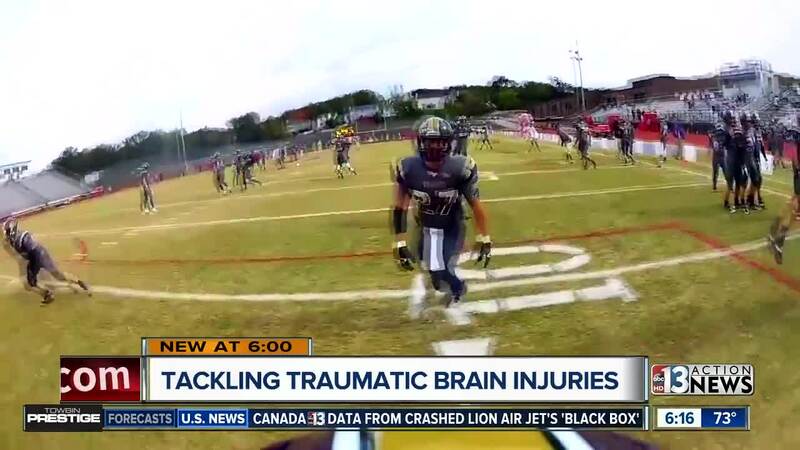 "There could be the possibility in the future of actually having specific treatments, so if a concussion occurs we can actually treat them and help the brain repair faster," Bernick said. While King still wonders what damage lurks inside his brain. He says with research and current treatments he wouldn't hesitate to let his grandson step onto that field. "You don't want to not play sports because of injury, you want to minimize but there is a risk in everything you do," King said. Researchers say the goal of the coalition isn't to discourage involvement in the sports but rather to educate athletes young and old about the issues they could encounter and how to avoid those dangers. The group is hoping to reconvene early in 2019 to continue pushing the research closer to the goal line.